She looks really lovely here-for a moment I mistook her for Aish. 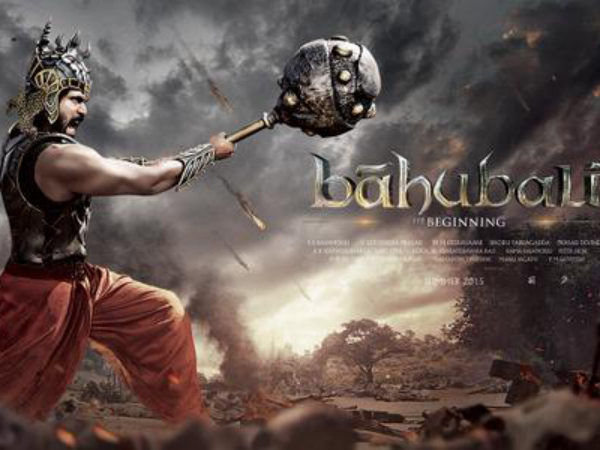 Baahubali -The Beginning shooting has been wrapped after 351 days. 'Baahubali-2' shooting to begin in August first week. 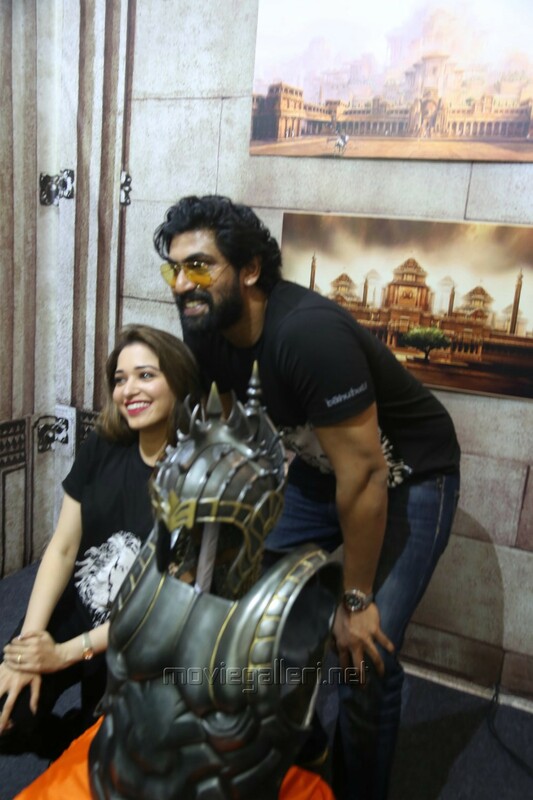 During an interview Rana Daggubati, stated that they will start shooting for the second installment of the 2-part epic drama. The post production is scheduled to be completed soon. Karan Johar has already bought the rights for the Hindi version. Director SS Rajamouli’s is leaving no stone unturned for this movie, He has roped in Kailash kher for composing a song , recruited 2 national award winners. The movie is created on a very large-scale budget. The movie has been already been featured on a BBC documentary on 100 years of cinema. The movie boast of A-list star cast starring Prabhas, Rana Daggubati, Anushka Shetty and Tamannaah in the lead roles. As of today, 50% of Baahubali part 2 has been shot. The most awaited movie of the Young Rebel star Bahubali will be released soon. It is going to upload the teaser on May 31st, 2015. As they wrapped the shooting. They experts are working on the magnus opus for 351 working days, Which features Prabhas, Anushka, Rana and Tamanna as main leads. The Director Rajamouli announced the official release date as 15th April,2015 earlier. But it was slated to release on July. There is humorous craze for this movie and the movie lovers and fans are eagerly waiting to watch this movie. Here is the good news for the Prabhas fans and Bahubali fans who are looking for the official teaser of the Bahubali movie. The director of the movie Rajamouli updated in the twitter that the official teaser of the movie will be released on 31st May, 2015. And this film is simultaneously dubbed into Hindi, Malayalam and in several foreign languages also. The director SS Rajamouli is trying to release the movie in the late summer that is in the month of July. They are planning to release audio on May 15th, 2015. The team of this movie is working hard for this. The team wants the movie to release in many theaters. MM Keeravani is playing music director role for this movie. The Arka media house is producing this movie with 120 crores budget. Nearly 600 vfx artists from 17 different departments and different studios came together and working simultaneously on the graphics of this magnum opus. From the officials said that Baahubali-1 will be slated on July 2015 for release. The director is working hard. Currently the team is preparing for the promotions and is getting ready to release worldwide. After making the huge success with the eega movie rajamouli started this project, which was also dubbed into Hindi as Makki. The director also said that We will also release the posters of the main characters of the Baahubali movie from May 1st and leading upto the trailer release on May 31st. Thanks for all the posts, Sady! I have decided that I am going to have to go see this in the theater. Prabhas was my first Southie fan-crush and while it's long cooled off I still have a soft spot for him. I'm assuming Since it's a big deal release maybe they will sub-title it. Hopefully! Luckily I'm about 5 miles from a Bolly-heavy movie theater, but they are also becoming generous with Punjabi and some South stuff, too. I love the pic of him in the apron, chef's hat and sword. The movie will be be released in both Tamil and Telugu and it should also be dubbed in Hindi and English. If you're lucky, you might catch a dubbed version. I'm sure it'll be quite a sight on the big screen, a visual fest. I'm also excited by this release as it has three of my favourites in it (Prabhas, Anushka & Tamannaah) and is directed by Rajamouli. Every story has ONE single moment at its core which defines & drives the entire plot. What follows is the HEART of Baahubali the beginning. He has to fulfil his destiny, come what may!!! Filmmaker Karan Johar's Dharma Productions has acquired the rights of S.S.Rajamouli's Telugu film "Baahubali". The official website of Dharma Productions released a statement regarding the same. "Karan Johar presents Baahubali - India's Largest Motion Picture, Directed by S.S.Rajamouli," the statement read. "Baahubali" movie's twitter handle also confirmed the reports and tweeted that Dharma Productions along with AA Films will release the film in Hindi. "We are excited to announce that @karanjohar through his Dharma Productions & Anil Thadani of AA Films will be presenting and releasing #Baahubali in Hindi," the tweet read. While the production houses haven't revealed the technical details, reports suggest that Karan bought the rights for a whopping price. "The ace director bought the Hindi rights for a whopping amount. Though no one is talking about the money, this marks the first time that a big Bollywood director and producer like Karan is involved in a Telugu film," Deccan Chronicle quoted a source as saying. "Baahubali" is one of the most awaited movies of the year. The film has been made on a budget of a whopping ₹175 crore and will be released in two parts. The first part of the movie will release this year, while the second part will hit screens in 2016. The film features an ensemble cast starring Prabhas, Rana Daggubati, Anushka Shetty, Tamannaah, Ramya Krishnan, Sathyaraj, Nassar, Adivi Sesh, Tanikella Bharani and Sudeep. Rocking! Shankar's I was the first South Indian film (since I've been keeping track) to come to my "Big Theater Far Away". No, I didn't manage to make it that weekend, but I'm hoping Baahubali might reach me. Relentlessly pursuing what his heart yearns : Mover of Heaven and Earth.